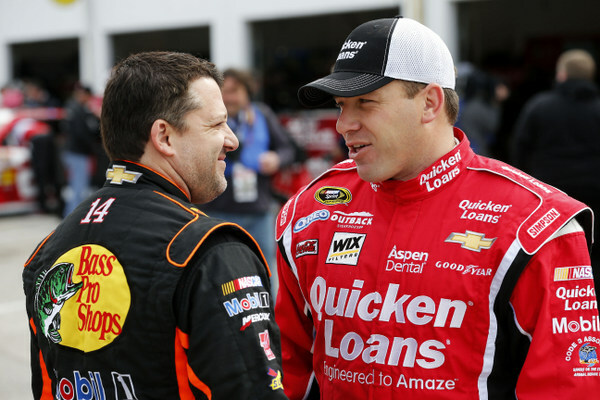 Tony Stewart says he's not ready to expand to four Cup teams in 2014, so he's not re-signing Ryan Newman. Kevin Harvick will take Newman's place in the three-team lineup. Stewart's decision is somewhat surprising, and it's clearly sponsorship related – even Harvick's 2014 team still isn't fully sponsored, Stewart said. 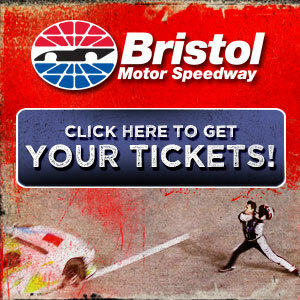 Harvick stunned the sport last fall when he revealed he would be leaving the Richard Childress camp at the end of this season. Harvick has been Childress' top driver since taking over the late Dale Earnhardt's ride after his fatal Daytona crash in 2001. 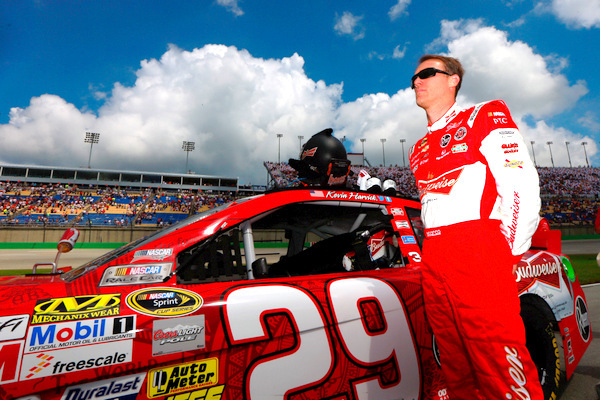 During his time with Childress Harvick has won 21 Sprint Cup events, including the 2007 Daytona 500. However he's never won the championship. 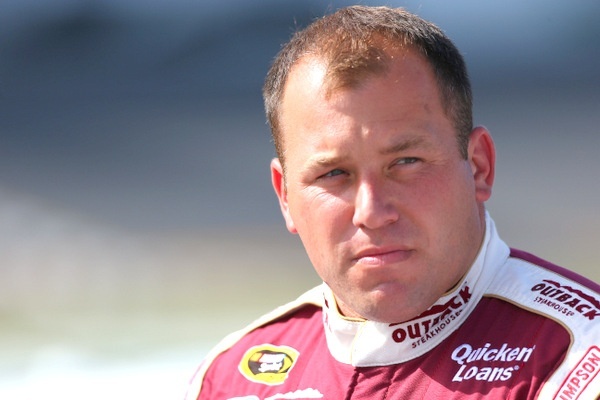 Newman, who joined Stewart in 2009, has 16 tour wins, including the 2008 Daytona 500, since joining the series in 2000 with Roger Penske. Harvick will be bringing sponsor Budweiser with him to Stewart's. "No, we are not ready to expand to a fourth team," Stewart conceded here Friday morning.
" Unfortunately this will be the last year that we have Ryan with us. That's probably what has made this a bittersweet day. "I'm bringing in another one of my friends to the organization, but also know I'm losing a friend at the end of the year to the organization. "The number one thing when Ryan and I spoke is that our friendship will not change. This was a business decision…. and it was a hard decision. "There is a personal side and a business side. For Ryan and me, we had to put the personal bit of it aside to work through the business part. "I'll do everything I can to help Ryan in any way I can, to try to help him find another team next year. I'm behind him 100 percent. I believe in him 100 percent. "I truly wish we were able to facilitate four teams at this time. We are just not able to do that." "I'm aware of what happened this morning. I've had a good run, and I look forward to finishing out the year. "I do not know what my future holds. I didn't know at this time last year. I've got some homework to do. "I cannot say I'm happy with how things have unfolded. But I am happy with my three wins with Tony. "Tony called me Wednesday to tell me I would not be part of the team next year. But our friendship won't change. We've only argued over how hard we race. We have a great friendship. "That's the first time I knew what I won't be doing." 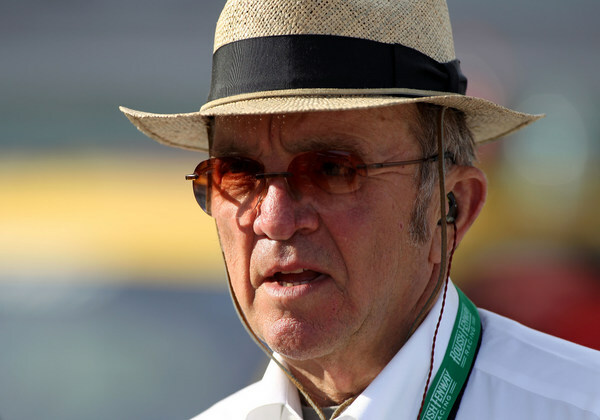 Ford's Jack Roush, who has a three-car operation that could easily expand back to four, said he was interested in talking with Newman about the situation. Roush said he would be interested in hiring Newman if there were sufficient sponsorship. Newman has some sponsorship himself. A plus for Roush is that Newman is an engineer like Roush. And depending on what Matt Borland, Newman's current crew chief, decides to do, that could also be a plus for Roush. Borland was also Newman's crew chief during his years with Roger Penske. While Newman himself was clearly dejected Friday with the turn of events, he is clearly the top free-agent in the Sprint Cup garage now. Depending on what Toyota team owner Michael Waltrip might consider, that might also be an opening for Newman. Waltrip is not here this weekend; he is in England for the Goodwood Festival. Considering Newman's years with Chevrolet, it seems a bit odd that the company has not been able to help put together another Chevy deal for him. The Childress situation itself seems a bit unclear, with Harvick leaving. Kurt Busch has been talked about, but Busch already has a top-notch car owner in Barney Visser and a top engineering contract with Childress. Speculation that rising star Kyle Larson might be a Childress pick has faded since Larson appears to have a contract with rival team owner Chip Ganassi. Harvick's pending move has been known since November, though Childress has yet to announce his own lineup for 2014. Harvick appears to be having no second thoughts about the jump, even though he is fourth in the standings and far outperforming Stewart. The jump, Harvick says, is because he feels Stewart can spark the fire that he seems to have lost. "The decision to make the change was just from a standpoint of needing to make a change from really a personal standpoint to just kind of rejuvenate exactly what you're doing," Harvick says. "The situation with Tony, and having that relationship with a guy that is going to be sitting in the cars next to you, and having that kind of teammate who has won championships, and a team that has won championships in the last couple of years, is something that is just exciting. "Then you add in the Hendrick support side of it, and there is a lot to draw from. "It wasn't anything personal from a Richard standpoint, or a team standpoint, doing anything wrong, it was just me needing to rejuvenate myself to get to the race track, and really be excited to show up to do winter testing and the things that go with it, and not just in the same routine. "Sometimes you just need a change to get going again." Submitted by sully on Sat 07/13/2013 - 00:41. Sponsors, yeah we get it..but when a vet of multiple series like Princess Sparkle Pony keeps her job on less than average performance and a proven driver gets the boot, Brian and company wonder why the fans are leaving. I am no means a fan of Newman, in fact I can't stand him, but the man has better cred's than the model who lays on the roof of cars. She does have the potential to be a once in awhile "Michael Waltrip" of plate racing. People want to see drivers who can, well...drive; she cannot mix it up! Next thing Tony will have Honey Boo Boo in his stable if it means selling out again to the almighty dollar. How does one prepare their kids for this world with this garbage going on???? I give the friendship lasting zero...remember Darian Grubb? Submitted by Chris Fiegler on Sat 07/13/2013 - 06:00. Do you think Stewart Haas Racing Be a Weird Lineup with Tony Stewart, Danica Patrick, & Kevin Harvick?